Gordon White wrestles looks at morality from a Magical perspective. 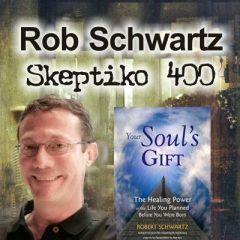 Alex Tsakiris: …for example, the evidence from the near death experience science that I’m so fond of because it gives us a pretty clean set of data to look at… I hear love and light being what it’s really about. I hear it being moralistic, and being hierarchical, and that materialism, even spiritual materialism of trying to get something out of an enchantment or a spell is really, at the very least, treading water. It’s not moving you towards this spiritual growth that ultimately it is what it’s all about. What do you make of that as a general idea? Gordon White: I think I know exactly what you mean… the question is philosophical in the human sense, which is, is morality an objective category of the universe like spin or something in physics? …Is morality an inherent category in the universe? And as a result, should that shape your actions in this life? Probably… but it’s an eternal question. 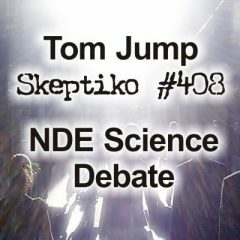 Alex Tsakiris: In the last episode of Skeptiko, I played a clip from the excellent interview you did with Miguel Conner, where you talk about materialism and consciousness research basically, that we talk so much about on this show. 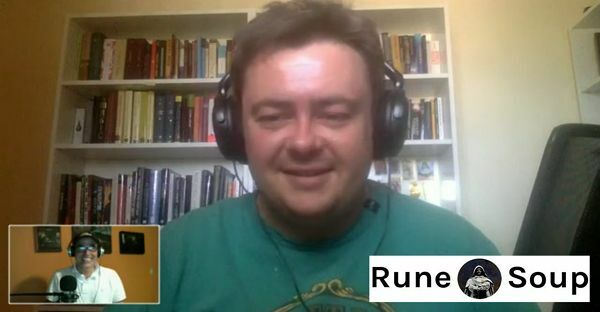 I think people will be a little bit off when they hear this guy’s talking about chaos magic and then what’s this clip we heard about on consciousness research? So your understanding of a magical world view and how that intersects with science and how that intersects with culture, I think is a lot broader than most people, if they’re not familiar with your work, would appreciate. What are some of the areas that you touch on in pieces of it? Gordon White: There are nonhuman persons. They can be sacred mountains. They can be plants. They can be ancestors. 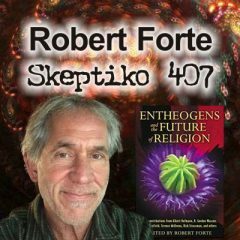 And it’s sort of decentralizing or democratizing personhood and you can make a very good case that it’s our kind of aboriginal view of personhood that we’ve got in a post-Christian, post-Descartes world, but has sort of imbalanced people, both mentally and quite messed with the environment. So it’s good in that political sense and there’s a lot of value that comes out of people discussing it in that sort of sphere. 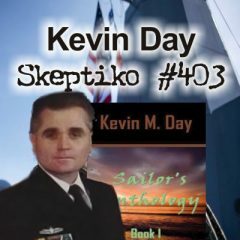 They do still tend to stop short of the things, and we’ve had this discussion before, the things that change everything, which is UFOs, spirit phenomena and MDAs and so on, which fall perfectly into an animus model; they don’t even touch the sides. And again, I appreciate the politics involved of working with indigenous cultures and that kind of stuff, but nevertheless, these indigenous cultures not only think a tree is a person, they also believe in the objective reality of their ancestor spirits, and I think that needs to be pushed a bit more. Alex Tsakiris: Pushed a bit more in what direction, for reclaiming the reality of that and usefulness of that in modern day culture, right? Gordon White: Yeah, exactly. I think in the metaphoric context of giving animism a seat at the big table of philosophical ideas. It can say these spirits have an objective reality; what have you got? If you go around the table, materialism has nothing, and panpsychism has nothing with some sparkles, and idealism tells you you’re correct in a way, but you’re also in error in how you see and experience these spirits. So it struggles with the phenomena logical approach. It doesn’t model or value the experience of the experience as highly as animism does. And I think whether it’s right or not, because I’m very interested in it as an explanatory model rather than a belief system I like, even though I happen to, and I’ll abandon it if it doesn’t work, but I don’t think it’s been given a run. It’s kind of like your car keys, the model we’re looking for may be in the last place we look. 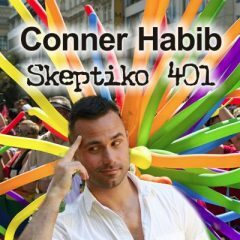 Alex Tsakiris: So, one of the things I sketched out in the last episode is trying to wrap our arms around the Christianity thing again, because I think it does loom so large in these discussions. It’s always there behind the curtain, or sometimes it’s not even behind the curtain, sometimes it’s out front and center, but it pops up in some strange ways. 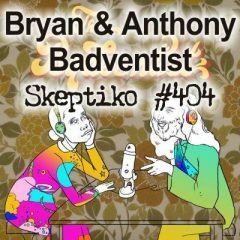 I tried to lay those out in the last episode of Skeptiko, to sketch out this idea that we can only understand the early history of Christianity, if we look at it from a conspiratorial point of view because that’s how it seems to play out. Now, I first have to ask you, what do you think of that? I know you’re somewhat familiar with the Joe Atwill kind of view of the world because I read a post that you have on the very excellent Rune Soup, but what do you think about the conspiratorial idea of the finding of Christianity? Gordon White: I think we’re sort of in agreement. I like Joe Atwill stuff. I think we’re in agreement about this having had discussions that weren’t recorded, Alex. Joe Atwill found a hammer and all of Christian history looks like a nail and I think he’s completely correct in matching Titus’ military campaigns in the Gospels and all that kind of thing. That is fine, I don’t think it’s a sufficient explanation for Christianity, given that you can and I sort of do make the case that Christianity starts before the purported birth of someone who never physically existed. When you say we can’t get our head around Christianity without… it’s already in through that conspiracy, that’s correct, but the other part of it is the magical and philosophical renaissance that was going on in the Eastern Mediterranean at the time. So the God that comes to be in the early or the dark ages of Christianity for educated people isn’t Jewish, it’s Graco-Egyptian Jewish. He’s very good at unpicking the stories of the Gospels and how they match to the needs of the Roman Empire, but the idea of a (…) and personal redemption and all these ideas we’re kicking around in a parade of different spiritual cults at the time. What I think Titus did was weaponize one of them, but the message is there. Gordon White: Yes. And the Egyptians did it too. They’re very good at mind warfare in that way. Alex Tsakiris: So what is the relationship then between religion and the spiritual reality that is being tapped into? I think that’s the hard part and that’s what I was getting at, I think we have to be really careful when the Atheists jump off on one side, which is just totally insane and say, “Well, the only way to handle it then is just to deny all of it.” Back to our materialist model and just say, “Well, then you’re a biological robot in this universe.” That’s how we solve the problem, none of it exists. And all of us have the experience that that’s completely not true. But the other jumping off point in the occult world, and that’s what I particularly wanted to get your opinion on, is they hold onto those same Christian myths in kind of a very strange way. Like I said in the last episode, now we’re reciting the Lord’s Prayer three times backwards and Aleister Crowley wants to poke the eyes out of Jesus on the cross. And let’s talk about Crowley for a minute, as long as I’m ranting. The first thing I want to say is I feel tremendous empathy for anyone who was, I don’t know how else you want to say it, but a victim of brainwashing, mind control like he was, the kind of strict religious upbringing that he had. No Christmas. No books. I think we try and hold out all these examples and when I run across Crowley, I just say this is an example of how not to do it. I, somehow or another, stumbled into the Yogic tradition a long time ago, and one of the things I took away from that is these people thought about it pretty deeply for a long time. I think of the first thing on Patanjali’s Eight Limbs of Yoga and its Yamas. You’ve got to be a decent human being; if you’re not a decent human being, then don’t even start down the path. It seems to me that Crowley, because he was in this completely bizarre Christian cult thing, his rebellion caused him to just kind of lose common sense and he’s in this opposite mode like Sponge Bob, opposite day. Let’s just do the opposite of everything. Whatever pops in our mind, we just do it. In your book, in The Chaos Protocols, you have some very practical advice for people who are trying to manage this world. You talk about meditation. You talk about cleansing. You even talk about diet and cleansing your body. These are completely at odds with what Crowley’s saying about whatever random idea pops in your head, just follow whatever that monkey mind says we should follow. I just don’t think it’s very good advice on how to navigate the spirit world. Gordon White: Well, it’s not, but in Crowley’s defense, I appear to be defending him now, he probably spends more time talking about the benefits of yoga and meditation than any of the other stuff. He traveled across Asia doing that. He meditated in India. He did yoga pretty much his entire life. And, in fact, his descriptions of yoga in magic, theory and practice are probably the only bit that have stood the test of time better than any of the other stuff he said, so I agree completely. I think how he would have conceptualized that is that he deemed himself enlightened somewhere along the way. 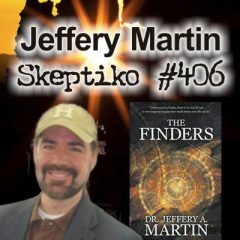 One of the things Crowley said is that the Buddha should have known better and by that he means once you kind of realize that reality is not as advertised, in Crowley’s conception of it, you’re essentially free. There is no inherent morality in the universe and you’ve kind of seen through that illusion. I’m not sure if the universe has an inherent morality, but I agree that’s probably not a best practice way of achieving that kind of psychic or spiritual health. Alex Tsakiris: I would agree, to a certain extent, that’s a very nondual message. You can go over to the nondual community and you can hear that same thing. Easier heard from someone who’s chosen a path of goodness, denial of material, worldly kind of things; much easier to hear from that person than from someone who has an insatiable appetite for all these things that are completely about this world. There is an inherent mismatch there that I just don’t see occult people really coming to grips with in the same way, I guess, that sometimes I don’t see Atheists coming to grips with the silliness of a proposition that we’re really nothing and we really don’t have free will, so let me tell you how angry I am about God. Gordon White: Potentially, I’m not sure how strongman that is. You’ll find occultists misbehaving as you find anyone else. Let’s move further up the decision tree. When you’re talking about Crowley’s behavior, there’s almost a materialist kind of structure to your thinking there, which is that the physical is bad versus the nonphysical, which is good, which is very post-Descartes, Western European. And his cosmology, if you look in The Book of the Law, all acts of love and joy are rituals. The physical exists for the experience of joy and in that connection, you get a connection with the full universe, so that’s kind of where he’s going with it. But when we come to this sort of morality about whether this one is objectively better than the other, if we move back up the decision tree, again, this is where I think animism’s quite good to table ideas. The spirit world in animistic cosmologies is amoral, and in fact, Graham Harvey, who’s kind of one of the more prominent animists, intellectuals or academics, in his research in the Maori in New Zealand, when they go into the forest or when they engage with the spirit world, it is to achieve the same morality and optionality of the Gods to kill with impunity. So hunting and cutting down trees are amoral acts. The Gods do it, the spirits do it, and the magical rituals are designed to give that same amoral capacity so as to feed a family and build a (…) and is quite a sophisticated of rather than going good and evil, and isn’t really inherent in Christianity’s DNA either; it’s sort of something that we get from the middle Middle Ages on as being important. 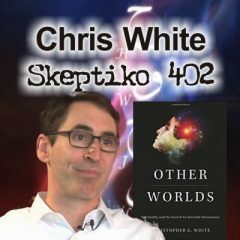 But that kind of dualism doesn’t work very well, and there’s a kind of nuance to saying, “Well, the Gods are amoral or the spirit world is amoral, in a sense.” We think that means behaving negatively, it means to operate without morality and there’s probably some value in looking at it in that direction. Alex Tsakiris: I think I see where you’re coming from and I understand that. I guess I’m really asking is the scant bit of evidence that we get from here and there as we put it together and put it on the table like you are doing, and I totally respect how you are doing it because I think you’re approaching it in the same spirit that I am of just trying to figure this thing out the best we can, but does that really fit? So, let me toss onto that table, for example, the evidence from the near death experience science that I’m so fond of because I think it gives us kind of a pretty clean set of data to look at. I hear love and light being what it’s really about. I hear it being moralistic and being hierarchical and that the materialistic, even the spiritual materialism of trying to get ahead, of trying to get something out of the enchantment or the spell is really just, at the very least, treading water. Even if it’s amoral, if it’s something you’re doing, it’s not really moving you towards this spiritual growth that ultimately, it is what it’s all about. What do you make of that as a general idea? Gordon White: I think I know exactly what you mean and it reminds me of something that Graham Hancock said which is that anyone who would like to hold a high office should go and do two weeks with Ayahuasca because they’re a lot less psychopathic once [they’ve] had an encounter with the reality of that world and I know exactly what you mean. The question is philosophical in the human sense, which is, is morality an objective category of the universe like spin or something in physics? And that, I don’t think people have ever solved and I think you’re correct, I think in the end and you kind of hear it in a modeled way coming through Crowley’s Book of the Law, because it basically says this is just shadows. The universe is joy. So, I don’t know, the short answer is I don’t know. Is morality an inherent category in the universe? And as a result, should that shape your actions in this life? Probably, because the other side of the argument, this is usually where I land with it, the other side of the argument is if it isn’t, if morality is not like spin or any of the kind of four physics forces that are inherent in the universe. If it’s not like that, then the only morality that exists is the one that we impart unto the universe by operating in a moral way, and that seems to me a reasonably good reason for doing so. So, I don’t know. I think if the universe does have an inherent morality, it’s probably not as basic as follow these Ten Commandments. Alex Tsakiris: One other kind of passing thought that I’ll bounce off you before we wrap this up, how do you understand technology in that? I think sometimes we have this dualistic kind of view of, “Oh, technology, it’s in the material world.” I wonder if the lines aren’t a little bit more blurred there than we understand them to be. What are some of your thoughts on advanced technology creeping into this area that we’ve cordoned off as the spirit world? Gordon White: Well, I’ll go even further. In the end of June this year, I gave a presentation at the London Occult Conference called Campfire’s Edge, which people can find by logging into the member section of Rune Soup. I don’t think of technology as materialist at all, and in fact, its origins universally, are something that had been given to us by the spirits or the demons, whether you are in Africa, when you’re in Polynesia, wherever you have to be. There is something about our interaction with nonhuman entities that either increases or decreases technological complexity across time; that’s kind of the thesis in the presentation. As for the shadow state weaponization of technology over the last 70 years, or at least since the end of World War II, I think again, this is something that animism can do reasonably well, quite probably, which is dismiss that dualistic notion of the difference between the physical and the mind that we’ve got at this point in Western European cultures timelines and this is probably the same thing. I mean, consuming a mushroom is a technology, so if you have unlimited money and decades to work on some kind of psychotronic weapon that can embed thoughts in people’s mind that you’ve spent a lot of money building in an underground base, what’s the difference there? Alex Tsakiris: You know, it’s funny because what really kind of crystalized that idea for me and brought it home is the movie… have you ever seen the movie Embrace of the Serpent? Gordon White: No, I haven’t. I had it on my list in the UK, but you can’t watch it in Australia, so I’m currently looking. Gordon White: But yeah, it’s just release schedules. Alex Tsakiris: You can’t watch it in Australia? It’s a terrific movie and for those who haven’t seen it, I, too, would highly recommend it. But there’s this point where there’s this shaman living in the Amazonian rainforest and there’s this German explorer who comes, and it’s this clash of shamanism and technology in some very interesting ways. But I thought you see a shaman in his younger years in full force, and then you see him as basically, a broken man who is still a shaman, but is broken and he’s broken by technology. He’s broken by the machete. He’s broken by the crazy, out of control capitalistic rubber farmers who chop people’s arms off if they don’t produce at the level that they should. And I thought here is again, that theme of, “Hey, shaman, what happened to your spirits here?” This guy came in with a little bit of sharpened steel and bam, it changed the whole thing. It just made me kind of rethink what do we really understand those boundaries to be between technology and the spirit world? 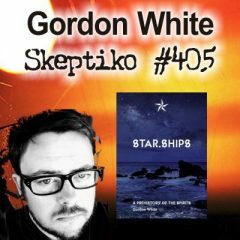 Gordon White: Well, I’m just thinking about how that would be conceptualizing in a shamanic world view and it’s kind of very European to think it’s my Gods are better than your Gods. If you have any kind of systemic view, which presumably this shaman would have, then there are any number of reasons why his culture has collapsed that he can interpret within a spiritual world; the spirits aren’t pleased, or because they’re amoral, not that interested in helping you, or it’s just a thing like a steam train that happens, at this point. This is where there’s a maturity in the world view rather than is this one better than that? If you mean what does the presence of technology mean… what implications does it have when held up against practiced spirit technologies? Alex Tsakiris: I was really taking it more, I think, in the same direction that you were in that maybe we need to have a spiritually, sensitive appreciation or thoughtfulness about technology, about where it comes from, where it goes, what it enables, where ultimately, it might lead us. You look at EVP, or you look at, I think it was Edison, primary interest was spirit communication and the technology that fell out of it was just like, “Oh, by the way,” technology falls out. Gordon White: Yeah, absolutely. That’s where Campfire’s Edge kind of lands on that because you can wind it back to the control of fire, the first mastery of fires, that story is one of spirits and that is the first technology, essentially. From that, every piece of technology is a child of fire. So technology emerges and increases and decreases in complexity, according to the Campfire’s Edge thesis, as depending on things like spirit contact; they interrelate in very mysterious ways.